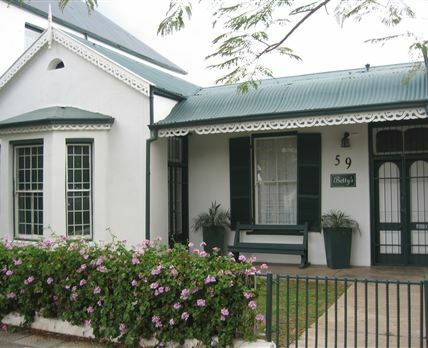 Betty’s: Explore Graaff-Reinet from the doorstep of our gracious restored home, located in the heart of the town. This four-bedroom, two-bathroom house is ideal for both small and large groups. It is fully equipped for self catering and also has barbecue facilities and secure parking. Cosy winter log fires for winter and high airy ceilings for cool relief in summer, Betty’s welcomes guests to a warm atmosphere and Old World charm. Click here to enquire at Betty’s.